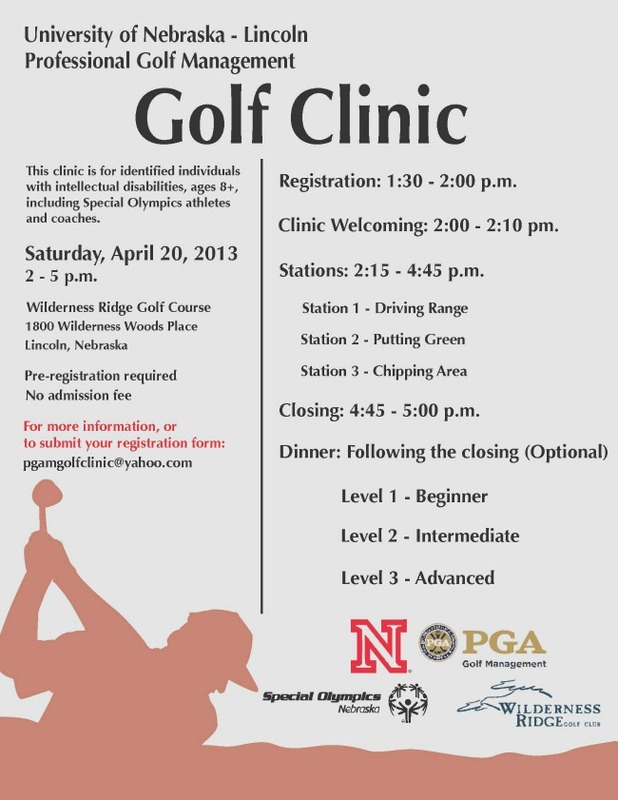 Saturday, April 20th the University of Nebraska Lincoln is hosting a free golf clinic for people with intellectual disabilities. This includes Special Olympics athletes and their coaches! This clinic is offered by the UNL Professional Golf Management program. The event is open to golfers ages 8+ and will last from 2pm-5pm. Pre-Registration is required and there is no admission fee. Send in the Registration Form below to pgamgolfclinic@yahoo.com. See you out on the links!